Packed full of wonderful protein and fibre, this savoury steamed bean cake is a "superfood" in my opinion. Glance at any plate of jollof rice or fried rice at a Nigerian wedding or party and you're bound to see some moin moin hanging about on the side. It's not the quickest thing to prepare but the final product is totally worth all the effort. There are various ways to steam moin moin but the traditional method is with ewe eran (banana leaves) which you're likely to find in any good African shop/market place. These are folded into little parcels to hold the bean mixture, giving you the signature pyramid shape - I will try my absolute best to describe this in the instructions below. The leaves also give the moin moin a distinct smell and flavour so it's worth buying some if you can. Otherwise, little ramekins or pudding moulds should do the trick. Soak the beans (overnight, if possible) in warm water, then peel and discard the outer layer. 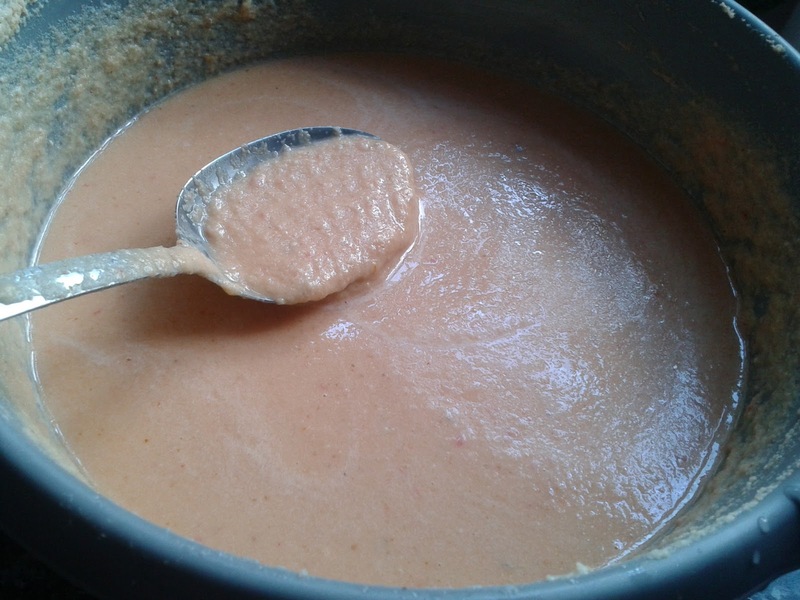 Blend the beans, peppers and tomatoes with a little water to form a thick batter. Transfer the mixture to a large bowl and add the stock cubes, vegetable oil and seasoning. You can get a little creative here and add some vegan extras like sweetcorn to liven it up a bit. Loosen the mixture with a bit more water. You want it to be thick but pourable. 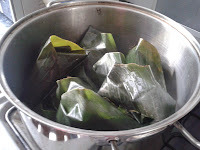 If you're not using the banana leaves, divide the mixture into little moulds and steam on low-medium heat for 1hr 30mins until the moin moin is firm and solid. 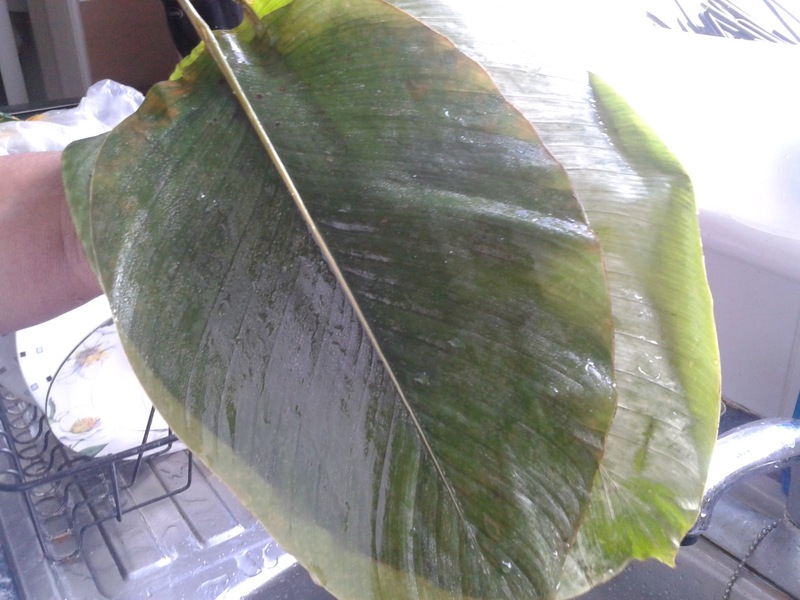 If you're using the banana leaves, prepare a large pot by filling it a 1/4 of the way up with water. Now, grab 2 or three leaves at a time and lay them on top of each other. Hold upright in the palm of your left hand and start by folding the sides and then bottom in to form an open-topped parcel. Pour the mixture into the leaf mould, making sure you're still holding on to it securely in one hand. To close it up, fold the top section inwards and bend the loose flap backwards. Place it flat and ever so gently in your large pot of water. Don't worry if a little mixture seeps out at this point, even the experts can't avoid this (so I'm told...). Repeat this process until your pot is filled with the moin moin parcels. Set the pot on a low-medium heat, cover and steam for 1hr 30 minutes until the moin moin is solid. You can test it by sticking a skewer or toothpick in to see if it comes out clean. Moin moin can be served hot or cold. Pair it with a plate of fresh salad and you've got yourself a tasty, light lunch. 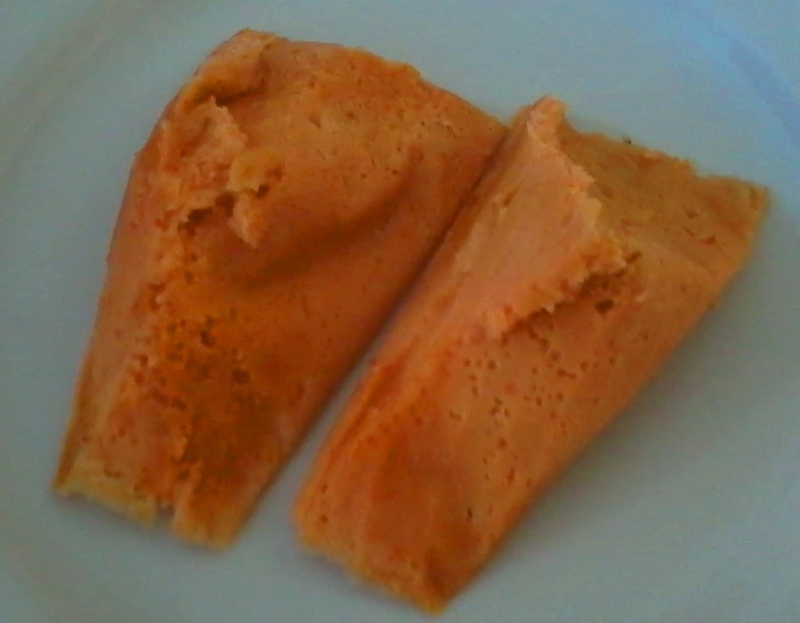 I'm always so intimidated by moimoi. I never quite get it right. I will try your recipe though. I think I'll omit the oil altogether and submit tomato for basil. Always wanted to try basil in moi moi. I hope it won't be over kill though. 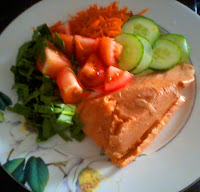 I live in Lagos and recently decided to go lacto-ovo pescetarian due to a medical issue last year (going completely vegan in Nigeria is stressful). I'll try this moin moin recipe this weekend. You are most welcome. hope you enjoy making this recipe!